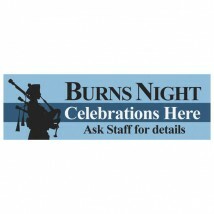 Attract people to your Burns night event using a banner. 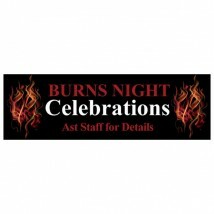 Discount Displays Banner templates offer a fast and easy way to promote you event. We have created the basic design for you to customised using our free online design tool. 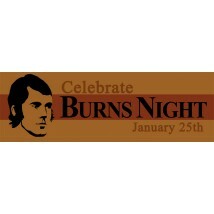 Choose a burns night banner then personalise it using our simple online design tool. Changed dates and locations and view a pdf proof when your happy with the design you have created. 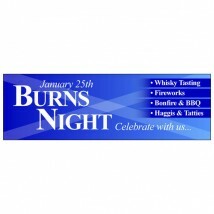 Our Burns Night Banners are printed onto a PVC banner material that is weather proof and rip proof. 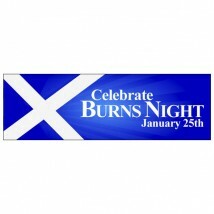 Your banner will be finished with eyelets for quick and easy display.